On Friday 4 August, a number of local and international speakers will descend upon the Housing Futures 2017 forum in Melbourne to discuss the future of residential architecture. The forum will examine the ways architects, designers, planners, developers and policymakers can help meet the demands of today – whether this be housing affordability or the pressing need for more residential building stock. “At a time when Australia’s population is set to grow by one million people every two to three years, discussing the future of housing in the country has never been more important,” says Katelin Butler, editor of Houses magazine. The event’s keynote address will be provided by architect and co-founder of WOHA, Richard Hassell. In his speech, Hassell will discuss designing hyper-dense cities in the face of global warming and population growth. Other keynotes will come from Vincent Taapken, founding director of Dutch company New Industry Development; Cany Ash, London-based co-founder of Ash Sakula Architects; and Geoffrey London, a professor of design at the University of Western Australia. Housing Futures 2017 will take place at the Clemenger BBDO Auditorium in Melbourne’s NGV International. View the full program here. Cany Ash co-founded Ash Sakula Architects with Robert Sakula in 1994 to pursue cross-funded, culturally rooted urban development projects, working with communities, arts organisations, developers and public bodies. She also runs Adaptable Neighbourhoods, a strand of Ash Sakula that researches the ingredients of great neighbourhoods. Richard Hassell is the co-founding director of WOHA, an architectural practice based in Singapore. Hassell has lectured at universities around the world and served as adjunct professor at both the University of Technology, Sydney and the University of Western Australia. Geoffrey London is a professor of architecture at the University of Western Australia and a professorial fellow at the University of Melbourne. He has previously held the positions of Victorian government architect (2008 – 2014) and Western Australian government architect (2004 – 2008). Vincent Taapken is the founding director of Dutch company New Industry Development. Since establishing his company in 2008, Taapken has dedicated his career to reshaping the traditional real estate industry into a more relevant, interdisciplinary, transparent and open industry. Eloise Atkinson is an architect with more than twenty-five years’ experience in design and advocacy for public and affordable housing, working with local and state government, community organisations and private developers. She is the independent chair of Brisbane Housing Company, and director of the cross-disciplinary design practice Deicke Richards. Nicky Drobis is the director of design at Fender Katsalidis Architects. 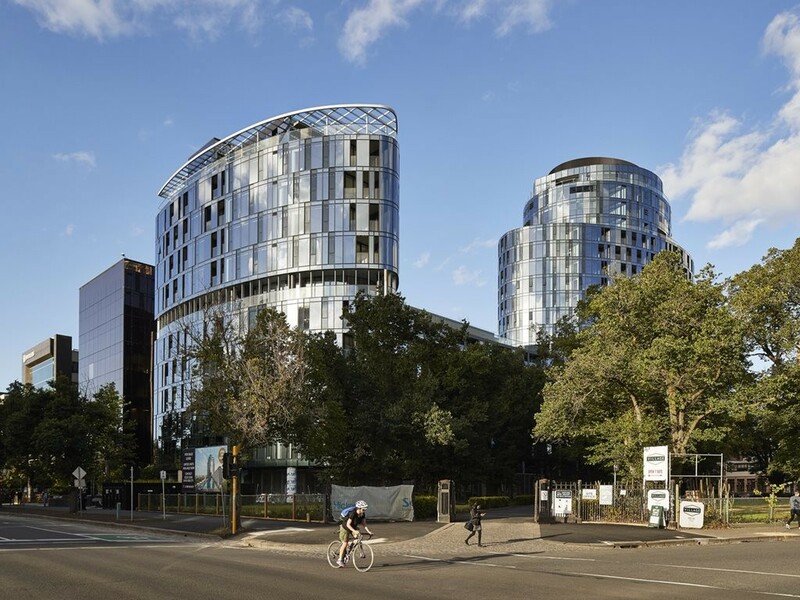 She has shaped many of the practice’s most significant projects to date, including Australia 108, Edgewater, Ark, Merdeka PNB 118, Parque and Fulton Lane. Tarsha Finney is a senior lecturer at the University of Technology, Sydney’s School of Architecture, and visiting professor at the Royal College of Art, London. Finney is a regular speaker on Australian radio and television, and writes for the general press about issues of housing and contemporary urban transformation. Catherine Lezer is a strata owner, strata resident and apartment renovator, and is the director of Strata Communities Australia (NSW). Lezer is a member of the City of Sydney Green Leaders panel and the City of Sydney Smart Green Apartments panel.